A few years ago I lived in Austin, TX. 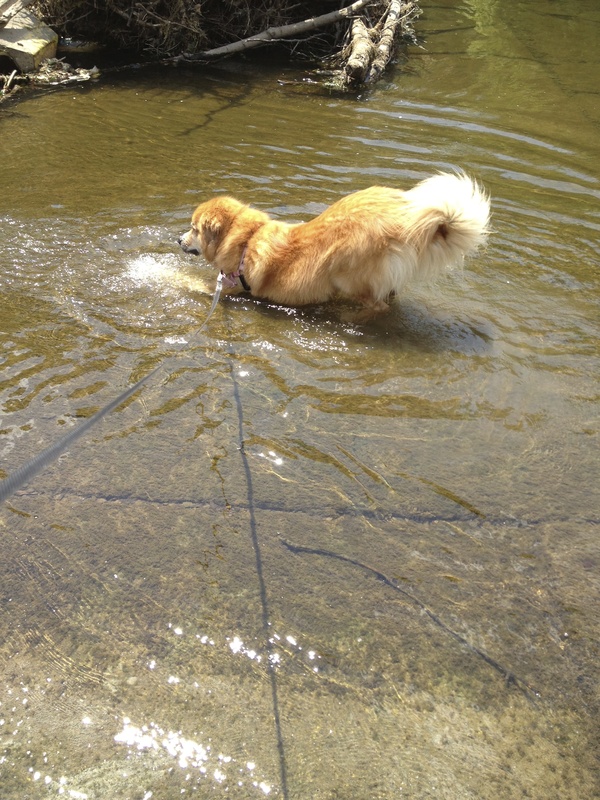 When I arrived, my dog Aspen was completely terrified of water. Any time we went to a beach or lake she would run from the water like it was fire. If we attempted to take her on a dock she would root her feet so firmly on the ground it was impossible to move her. I had pretty much given up on her and water. I happened to have a place that was very close to both lakes and creeks. After being there for four months, one day we were by a creek and she saw some dogs standing in water. Out of nowhere she went charging into the water dipping her feet in about two inches and then jumped right out, kind of like how a kid jumps in a puddle and then runs back to mom or dad. She tried to go in and again, but the area she chose was too deep and she ran away in fear. The next week I took her back again she put her feet in the water. Then she noticed some dogs playing in the water and she looked longingly at them and then up at me and started crying. She wanted to go in the water. With no belief in herself she gave up and pulled me away to another place in the park. For me this transition has told me a lot about myself. I frequently make quick jumps forward into action, most times stumbling over the steps needed in between. Those steps seems cumbersome, boring and take too damn long. This pattern does not always serve me well, or feel good in my body. What Aspen showed me was the essence of turtle steps. She didn’t falsify bravery and go for something that didn’t feel right. She took her time. Each step seemed excruciatingly slow. But she knew she needed baby steps. In her mind there was no rush, so she let them come in their own time. She wasn’t fixated on how many ducks she was missing out on. She knew when the time was right it would just happen. And it did happen in it’s own time and in it’s own way. How many of us spend time running from what we fear rather than taking the small steps needed to move forward? How many of us don’t have the time or patience and push forward only to give up in frustration? If we just allowed are self to slow down, what would be able to accomplish? For me those six months In Austin taught me a lesson in how to slow down and observe. Through that I have noticed, felt, and conceptualized things I could have never imagined in my busy, overdoing, outcome based past life. 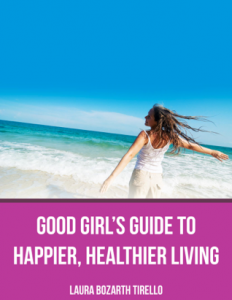 This entry was posted in Good Girls Health, Good Girls Lifestyle, Good Girls Relationships and tagged baby steps, belief, setting goals, slow down. Bookmark the permalink. Great post Laura. Our lives are so full of activities that we forget to slow down and listen. I am reading the Happiness Trap right now . . . and this post reminds me of one of the key elements of that book, find the things that are most meaningful to your life, that add value (also a minimalist view). Thanks Aspen for such a great life lesson!